Have you been on the Riverwalk lately? 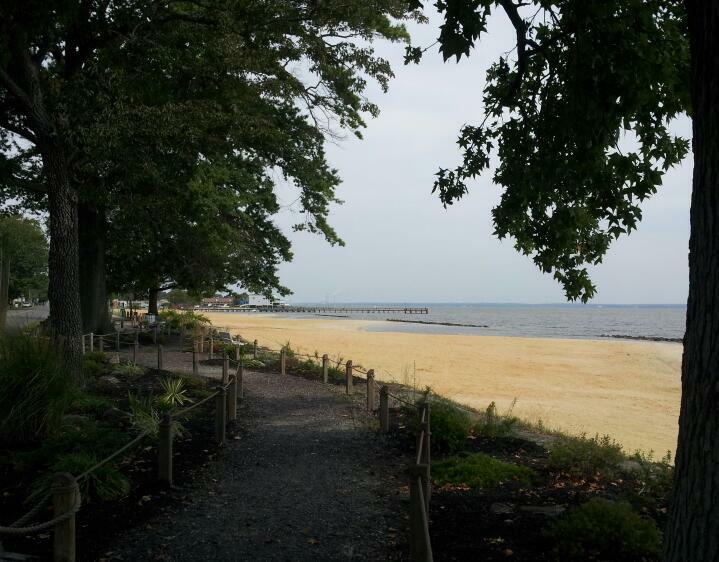 The riverwalk in Colonial Beach is a scenic pathway along the shores of the Potomac River. 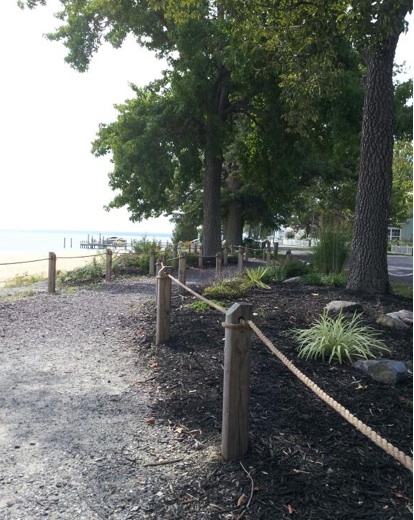 Under large shade trees at the end of the metered parking sidewalk area on Irving Avenue, guests and residents alike can stroll the wide path, gaze at the sparkling tranquil waters of the Potomac and watch beachgoers frolic both on the sand and in the water. 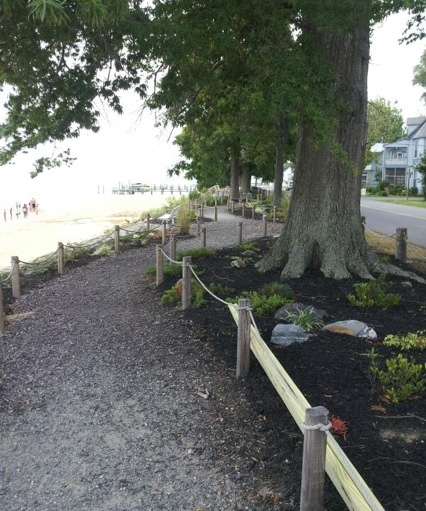 The riverwalk area was largely constructed by Project Colonial Beach, an organization formed in the summer of 2007 by a group of local citizens and they also do a great job of cleaning and maintaining this area too. There are a couple of benches along the path so that you can take a break from walking and take in the scenery. The path is very well marked, groomed and bordered. There are split rail and rope fences, small boulders, beautiful plants and flowers. It’s really nice landscaping work, and it is quite peaceful here. The speed limit on the road next to the path is 25 miles per hour. Drivers in cars and golf carts will often slow down to get a better look at this beautiful area. I like to come to this area to snap photographs. The trees and foliage provide a nice background for beach and water shots. It helps to catch the daylight at just the right time, too. Some incredible pictures have come from this area. It’s especially nice when there are boats out on the water. 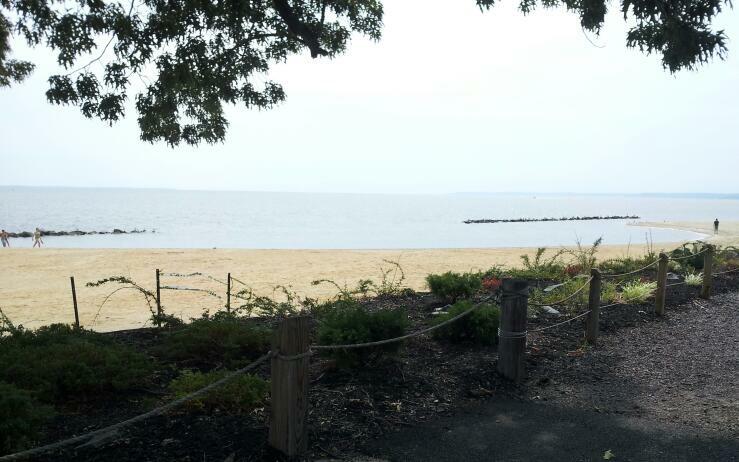 If you’re standing on the path and facing the water, to your right is where Mattox Creek meets the Potomac. 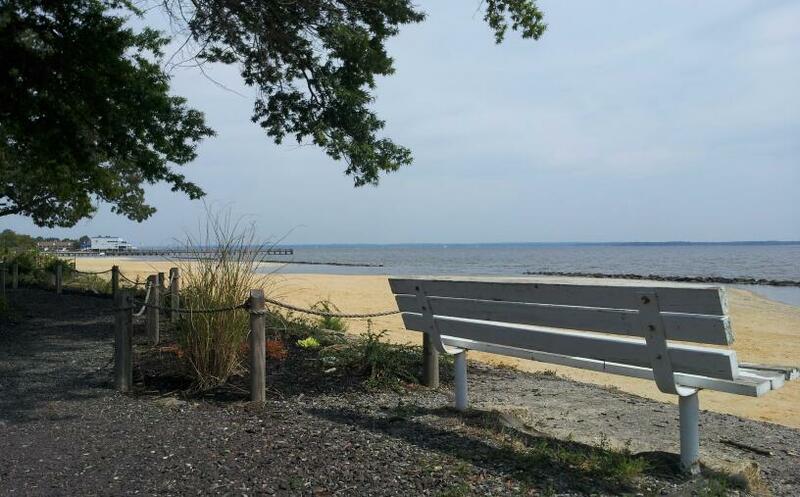 Looking straight across you will be able to see the shores of Maryland and to your left, of course, is the Boardwalk area of the town of Colonial Beach. Be sure and visit this spot next time you’re here in town!